By the close of 2014, the US Congressional Research Services issued a report putting the total cost of America’s War on Terror, encompassing Afghanistan, Iraq and other operations, at an official USD1.6 trillion. A respected military think-tank, the Royal United Services Institute (RUSI), estimated that Britain, America’s main military partner in these wars, had spent around GBP29 billion (‘Wars in Peace’, RUSI, 2014). Both wars were deemed by RUSI to be ‘strategic failures’. By June 2015, according to the Institute for Economics and Peace, the economic impact of wars around the world, many of which were related to the fight against Islamist extremism, amounted to USD14 trillion. That is 13 per cent of global GDP, or the combined value of the economies of the UK, Germany, France, Canada, Brazil and Spain. ‘Body Count’ also referenced a study (2005-2009) by the International Journal of Environment Research and Public Health, which said child mortality multiplied in the following years, the number of occurrences of cancer quadrupled, and the number of cases of leukaemia increased by a factor of 40. But the report did not make global headlines on the scale it should have done, as the world was preoccupied with the latest front in the war on terror — against ISIS in the newly declared Caliphate. These and other studies on the battle against Islamist extremism, whether of the al Qaida or ISIS brand, demonstrate that the provocative ideology that has inspired jihadis in both groups has worked. The economic burden to the world’s superpower and its allies, together with a mounting civilian death toll, has long been part of a deliberate strategy by these and other terror groups to draw their enemies directly into costly wars, sow division at home and abroad through mass casualties, and alienate some Muslims within their adopted land until they are driven into the arms of the fanatics. The impact of the West’s assault in Iraq had a huge impact on civilian lives, which in turn helped fuel the fanatics’ campaign for infinite war. Naji’s manual begins with a warning: the global Muslim community, the ummah, must pass through a time of ‘chaos and savagery’ to see a return of the Caliphate. The ISIS strategy is to create regions of ‘savage chaos’ across the world by launching a series of multiple attacks against the interests of America and its allies. The manual notes that the fastest way to defeat even the strongest enemy is to draw it into the quagmire of one or many unwinnable wars: death by a thousand insurgencies. The European Commission Against Racism and Intolerance (ECRI) published a report in 2015 that said some reporting on immigration, terrorism and the refugee crisis was ‘contributing to creating an atmosphere of hostility and rejection’. The worst example was where a British female columnist for the right-wing tabloid The Sun referred to refugees from Syria and other countries in the grip of civil war as ‘cockroaches’ — this at a time when refugees, including children, were drowning in their attempt to flee warzones and come to Europe for a chance at life itself. The columnist’s words evoked Nazi propaganda against the Jews. The media has helped stoke a dangerous new political climate of demonising refugees and immigrants — Muslims, in particular — in Europe and America. But also in Asia: Muslim Rohingya refugees fleeing horrific ethnic and state violence in Myanmar are being denied refuge in India, for instance; both the BJP central government and the mainstream media justify this citing security concerns, thus branding thousands of penniless and often starving persecuted women, men and children as potential terrorists. In the wake of Britain’s Brexit vote in June 2016 and with the rise of far-right politics in Europe, police statistics have shown a dramatic rise in Islamaphobic, anti-Semitic and xenophobic assaults. Religious buildings and Muslim migrants have been targeted. ‘It is no coincidence that racist violence is on the rise in the UK at the same time as we see worrying examples of intolerance and hate speech in the newspapers, online and even among politicians,’ said ECRI chair Christian Ahlund. Anti-Muslim, anti-migrant political rhetoric has stepped from the shadows into the political spotlight and mainstream. In Slovakia, an EU member, the prime minister, Robert Fico, has called for the ‘restriction of the freedom of Muslim in Europe’, and said Islam has no place in his country. The far-right Hungarian prime minister Viktor Orban is another vocal leader on Islamaphobic and anti-refugee views, talking about a planned invasion by Muslims. He has referred to the migrants as ‘poison’. It is not just a European phenomenon. 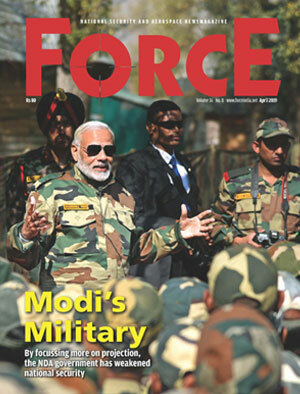 One of the first major global democracies to elect a muscular nationalist and populist leader was India — it put Narendra Modi in office as prime minister in 2014. Modi and his BJP Hindu nationalist party has risen to national prominence on the back, mainly, of two issues: economic liberalisation and Islamophobia. This strongman populism was drawn from the same poisoned well of politics that Donald Trump would use to propel himself to victory in 2016. Both men were initially deemed as dangerous mavericks and political outsiders, both depicted the Muslim as the enemy within, both clothed their dangerous nationalism in the garb of protecting the common man and the domestic economy. One was Hindu Christian America First. In the US, Newsweek reported in the summer of 2017 that FBI data showed that in 2015 there were 257 hate crimes against Muslims — the highest level since 2001 and a surge of 67 per cent over the previous year. Anti-Muslim hate crime in America accounted for 4 per cent of total cases reported, even though Muslims represent 1 per cent of the population. In India, according to reports in June 2017 by two human rights groups — the Mumbai-based Centre for Study of Society and Secularism (CSSS) and the UK-based Minority Rights Group International (MRG) — there had been a spike in communal violence, particularly against Muslims, since 2014 when Modi and his BJP party came to power. According to official statistics alone, India witnessed more than 700 incidents of communal violence in 2016 that killed 86 and injured 2,321 people. Muslims — who form just under 15 per cent of the country’s population — again bore the brunt of these hate crimes, such as lynching, shooting, stabbing, threats, attacks on places of worship and forced conversion. In the autumn of 2017, the beacon of European tolerance, Germany, held elections in which the anti-immigrant and far-right Alternative for Germany party won its highest ever share of the vote and entered parliament for the first time in 60 years. Chancellor Angela Merkel clung on to power but her sympathetic stance towards refugees had cost her a heavy political price. It was not all bad news in 2017: France, Austria and the Netherlands all rejected the far-right populist candidate in elections. But even as it was defeated the far-right spoke louder than ever in all these countries. When political leaders and the front pages of respectable global newspapers became the home of hatred and populism, when Islamophobia is part of everyday public discourse, ISIS’s propaganda efforts are helped. It is what the Management of Savagery, the blueprint for modern-day Islamist terrorism had recommended as strategy: stoke the fires of hate against the majority of peaceful Muslims living around the world, fan the flames of division until moderate Muslims are fearful in their adopted lands and forced to choose between a world of co-existence and the so-called Caliphate, between values of a common humanity and those of ISIS. In 2002 Osama bin Laden had the dark foresight to see the importance of the Internet and the media, but not even he could have predicted the dawn of a new social media age which would instantly connect people around the world: back then, Facebook, Twitter, YouTube and Whatsapp had not taken the world by storm. The invention and proliferation of the smartphone democratised the medium for the masses and has placed unprecedented power in the hands of young people across the globe. Most young people in their early 20s and younger, of all faiths, including Islam, have never known a world without the Internet, and the battle for their hearts and minds is now being waged through the smartphone. It is this same demographic that has been worst hit by the fallout from the 2008 global economic crisis. These young people, especially if they feel persecuted or denied economic opportunities, are particularly vulnerable to extreme ideologies. We live in a political era where the globalised power of the message can transcend everything, even truth. The citadels of establishment are no longer trusted — whether they are media scions or government elites — and the world is witnessing a turbulent age of political iconoclasm. By 2017’s close, ISIS has pretty much lost its terrorist kingdom after coming under debilitating military assault from the West and its coalition of allies. Faced with territorial losses, now the online media sphere is set to become a priority battleground for ISIS. For those recruits it has lost, it will target fresh blood online. The media war has only just begun.